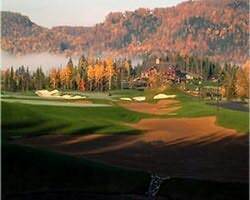 Glasgow Hills Resort & Golf Club | GolfTrip.com - Golf Tips, Vacations, Packages, Destinations and more! Players know Glasgow Hills Resort & Golf Club as more than just a game of golf. This golf vacation destination prides for offering the best golf experience ever in a “World Class Signature Golf Course” with a length from 5279 to 6915 yards, playing for par 72. The four set of tees present in the course allow players of different levels to take the challenge and showcase their skills. Golf architect, Les Furber, created this magnificent golf course with elevation changes unique for Prince Edward Island. After opening in 2001, the course continued to receive recognitions for its wonderful landscape and full-service facilities. So what makes for the great scenery in Glasgow Hills Resort & Golf Club? A golfer would testify to this as they see the rolling hills that offer a view of the Gulf of St. Lawrence in the background. Luscious greens painted on the meticulously sculpted layout define the atmosphere of this one of a kind golf vacation course. For guests who prefer not to play, relishing the entire panorama means a relaxing stay at the clubhouse, located high on the hills, making guest feel like a Queen overlooking the entire kingdom from high above a Royal tower. 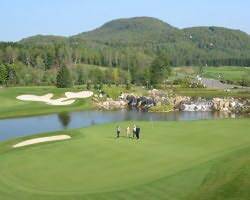 The golf vacation package in Glasgow Hills Resort & Golf Club also makes for the perfect customer service here. Different accommodation partners are ready, along with a game on the favorite golf course of PEI. That means a quick 1 night 2 round specials or a weekly all inclusive package. Aside from a game, accommodations make guests feel like a Prince with rooms containing amenities that would ready a golfer for any upcoming challenge. Every bit of experience is really that worth it in this golf course.